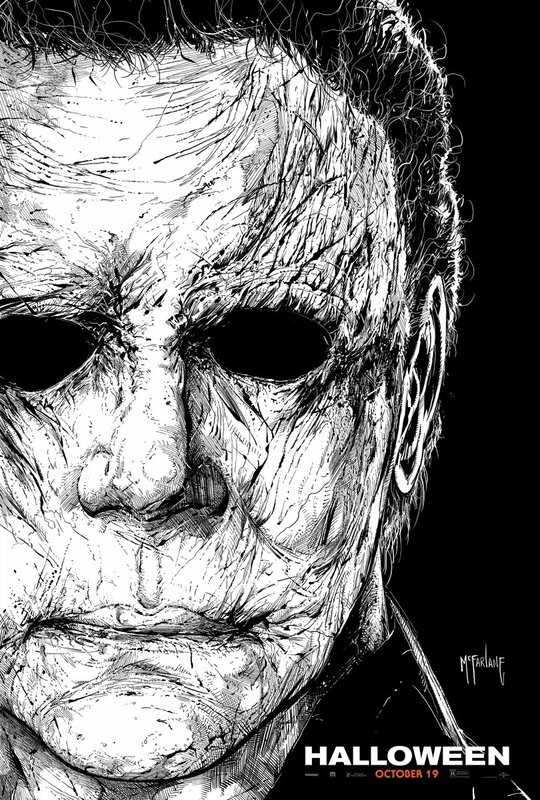 Universal and Blumhouse’s Halloween held onto first place at the domestic box office with an additional $32 million haul. The 11th entry in the franchise has brought in $126.69 million domestically and another $45.6 million internationally for a global total of $172.29 million. This marks the first time that an entry in the series has crossed the $100 million mark at the domestic box office, and puts the new film behind only the original when factoring in inflation adjustments. Directed by David Gordon Green, the film stars Jamie Lee Curtis once again as Laurie Strode. The cast for the film also includes Judy Greer who plays Karen Strode, the daughter of Curtis’ character, and Andi Matichak who plays Allyson, the granddaughter of Laurie Strode. Warner Bros. Pictures’ A Star is Born held onto the second place position for the fourth weekend in a row, bringing in another $14.1 million and dropping just 25%. The film now sits at $148.7 million domestically with $104.6 million bringing its worldwide total to $253.3 million. A Star is Born stars four-time Oscar nominee Bradley Cooper and multiple award-winning, Oscar-nominated music superstar Lady Gaga (as Stefani Germanotta), in her first leading role in a major motion picture. Cooper helms the drama, marking his directorial debut. Columbia Pictures’ Venom held onto third place, adding another $10.8 million to its domestic total. The Spider-Man less spin-off now sits at $187.2 million with $321.1 million internationally. Globally the film has crossed the $500 million, with $508.3 million worldwide. Venom is now the highest grossing domestic release for Sony this year, and is close to becoming the studio’s top grossing 2018 release worldwide (just behind Hotel Transylvania 3‘s $520.7 million). Directed by Ruben Fleischer, the film stars Tom Hardy, Riz Ahmed, and Michelle Williams. Venom is produced by Avi Arad, Matt Tolmach and Amy Pascal. Sony Pictures‘ Goosebumps 2: Haunted Halloween held the fourth place position with $7.5 million, bringing the domestic total to $38.3 million. The sequel is performing modestly but has seen a significant drop from the first film’s haul in 2015. The family horror comedy is directed by Ari Sandel and stars Madison Iseman, Jeremy Ray Taylor, Wendi McLendon-Covey, Caleel Harris, with Chris Parnell, and Ken Jeong. Lionsgate‘s Hunter Killer debuted in fifth place with an estimated $6.65 million, a very low opening for star Gerard Butler. Directed by Donovan Marsh, the film also stars Oscar-winner Gary Oldman, Common, Linda Cardellini and Toby Stephens. 20th Century Fox’s adaption of the book The Hate U Give held onto the sixth place at the domestic box office with another $5.1 million. The film has now brought in $18.3 million at the domestic box office. Directed by George Tillman Jr. from a screenplay by Tina Mabry and Audrey Wells, The Hate U Give stars Amandla Stenberg, Regina Hall, Russell Hornsby, Issa Rae, Sabrina Carpenter, Algee Smith, Lamar Johnson, Anthony Mackie, K.J. Apa, and Common. 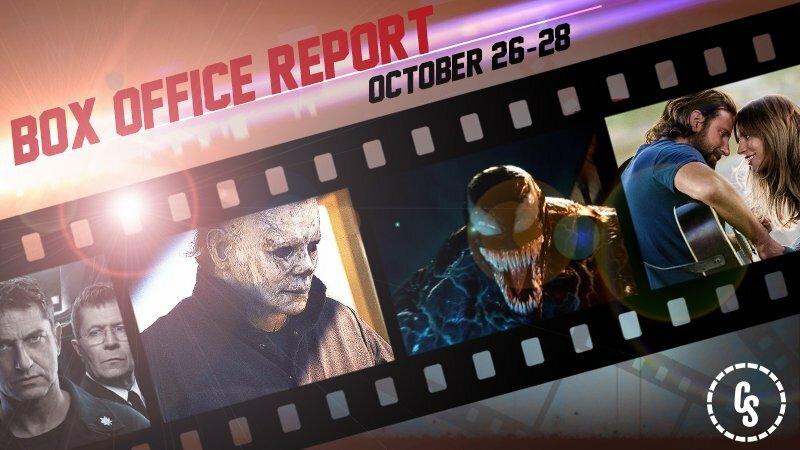 The post Halloween Takes Hold of the Box Office with Another $32 Million appeared first on ComingSoon.net.